Most visitors who have had a chance to visit the Mekong Delta in Vietnam turn nostalgic on its mention. Reasons abound with a broad range of tourist attractions to its fold. The Mekong is however remembered more for its culinary twists. Food in the Mekong is unique, traditional and with little influence from the changing urban diets of fast foods. While taking a trip to the Delta, you may need to have a taste of some of its unique foods. With their unique ingredients that include the locally caught fish, rats, and salads, the area has it all. You may not have tasted Vietnamese food without sampling Banh mi and pho. Banh Mi is a traditional dish in Vietnam just forms the best basis for your visit. A sandwich of sorts, the fish/ pork filled delicacy has a taste of butter, sauce, cilantro and various forms of hot pepper will be a good wake-up call that this is Vietnam. Most morning food restaurants would be at peace serving the pho, a kind of rice flavored soup in beans or beef. The spiced breakfast meal gets its unique taste from cilantro and various types of sauces in Vietnam. Visiting the Mekong is all about adventure and eating these particular fish dishes will form part of it. Take the case of the elephant ear fish highly regarded when it comes to its looks. The elephant ear fish is a popular dish in Vietnam and the Delta in particular because of its unique cuisines. Stretching from the areas of Ho Chi Minh City to the villages, this delicacy is common as a welcome to the many visitors thronging the area. The fried elephant fish may be washed down in vegetables and taken down in rice paper; the chili will ignite the fire on the palates. On the other hand, trying the gray eel-catfish dishes may give you an indication of how these locals go to satisfy visitors. The fact that the eel fish, a doggy deep water fish is on the tables in the Mekong exudes the Vietnamese hospitality. It comes in various forms of soups, stews; grilled fish wrapped in banana leaves and steamed forms washed in vegetable, pepper chili. 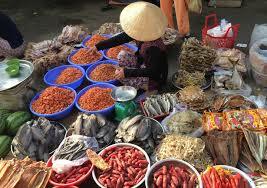 Notably, the shellfish may be one of the foods that will keep you remembering Vietnam. If you are visiting the areas of Ben Tre, where tradition is at its core, having a taste of specially made noodle will be advisable. The duck meat soup that forms the main ingredient is used to cook rice flour sliced into the taste of the visitor. One of the chief components of food in Vietnam is the coconut milk. You can sample the various forms of coconut candies made from the coconut milk. In fact, the traditional Vietnam has this thing with exploiting every aspect of the coconut tree. 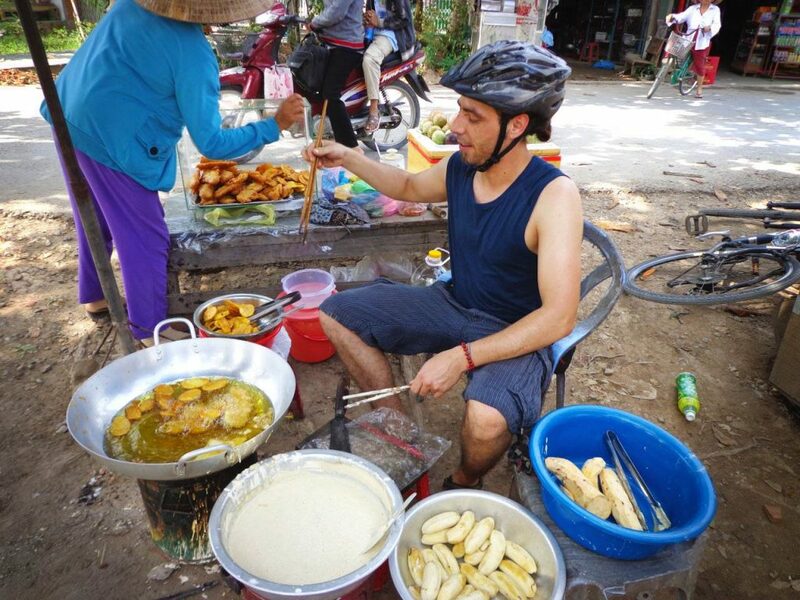 There are diverse forms of cakes made in the restaurants in the Mekong Delta to the taste of the visitors. The reason for trying cakes in the Mekong Delta is mainly their distinctive sweet flavor, which is common in traditional Vietnam. The original examples are Hoi cakes whose unique white color is the primary distinction and the Bot Loc cakes with its chewy taste; the cakes can go down with any of the various traditional foods in the Mekong. For instance, people eat the cake with different herbs and fish sauce. If you are a fan of sweet cakes, try the Chau Doc’s palm sugar cake. The use of palm tree in its preparation will amaze any visitor how the local Vietnamese population exploits aspects of nature to come up with masterpieces in diets. For the benefit of anyone, most of these cakes are made from a mix of wheat and tapioca flour while the rice floor helps form the sticky part with a tinge of bean paste and egg to taste. If you love to have a unique taste, the durian taste will leave you craving. Vietnam is a country with rich potential for rice. Rice being the staple food finds its way in most foods in different forms. Baked rice, sweet rice, dipped rice and the plain rice is the most common ingredients in the rice papers. Most of the rice papers consist of rice floor with no additives. The reason for trying it out is its uniquely soft and salty inclination. The major additions to the papers include various forms of milled soybean and fish sauces in Vietnam. Rice papers could be ordinary, look for a restaurant with the Cho Moi Sticky rice. For its round looks, high quality regarding flavor, its attributes are mainly due to its source. The Cho Moi area is a confluence that allows alluvial deposits to thrive, a good catchment for the special rice. Planted round the year in the alluvial parts of the Mekong delta(www.AtravelMate.Com), the more reason why it is unique to the area. Flavored with a mix of local glutinous rice that gives it a sticky yet tasty, yellow and aromatic palate, it’s a must try.